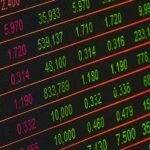 One of the concerns many investors have with possibly investing in cryptocurrency is the risk of becoming susceptible to hackers. Thankfully, many of those concerns are able to be addressed through taking basic security measures. And investors in Bitcoin IRAs have the benefit of working with custodians who are able to use secure vaults, hard storage, and offline wallets to keep their clients’ Bitcoin investments safe and secure. But even if your investments are safe from hackers, you could still be susceptible to cryptojacking. 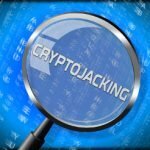 Cryptojacking malware often takes advantage of browsers and plugins to install mining software onto a person’s computer. While some malware seeks to compromise credentials in order to steal existing cryptocurrency holdings, or encrypts a hard drive in order to extract ransom payments from users, it is becoming far more common for malware to use the victim’s computing power to mine cryptocurrency for the hackers. 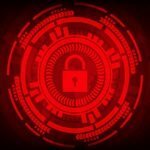 Instances of crypto-mining malware grew nearly 4,500 percent last year, with more and more malware being reported even as cryptocurrency prices were decreasing. Monero is the most popular cryptocurrency demanded by those hackers, with a total of 4.4 percent of the outstanding monero supply having been mined by malware. The problem isn’t just isolated to computers either, as any device connected to the internet, from refrigerators to thermostats to routers, can be compromised and harnessed to mine cryptocurrency. Most people can remain safe from crypto-mining software by taking basic security procedures. Don’t use default passwords when setting up network software, and use long, difficult passwords that can’t easily be overcome by brute force attacks. Be very wary of browser plugins and smartphone apps, and do your research before installing them to make sure that they’re not compromised. And of course, don’t click on links or attachments in emails unless you’re absolutely sure they can be trusted. 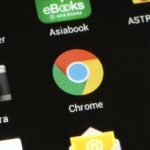 If you’re not expecting a link or attachment, clicking on it could open your computer or smartphone up to infection. « Is the Government Shutdown Affecting Crypto?